Smartphone maker Gionee’s chief executive lost millions gambling. His company’s going down too. CC-licensed photo by John Wardell on Flickr. A selection of 10 links for you. Indubitably. I’m @charlesarthur on Twitter. Observations and links welcome. On Tuesday and Wednesday, police from two Delhi suburbs raided 16 fake tech-support centers and arrested about three dozen people. Last month, the Delhi authorities arrested 24 people in similar raids on 10 call centers. …The scam is quite lucrative. Researchers at Stony Brook University, who published a detailed study of fake tech-support services last year, estimated that a single pop-up campaign spread over 142 web domains brought in nearly $10m in just two months. When I first reported on this in 2010, the focus was in Mumbai, but anywhere with a call centre will do. It’s endless: there’s always a call centre list, always willing people to run the scam, money to be made, people do be duped. But you’d think they could stop the popup ads. • The 3rd party’s site was hacked, and the JS was changed. • BA’s customers ran the script, which then harvested their credit card details as they were typed in. This should have been a wake-up call to the industry. Don’t load unauthenticated code on your website – and especially not on your payments page. Deliveroo, Spotify, The Guardian, Fanduel, EasyJet (sorta), and British Airways. Argh. …Mr. Nadella made the cloud service a top priority, and the company is now a strong No. 2 to Amazon. Microsoft has nearly doubled its share of that market to 13% since the end of 2015, according to the Synergy Research Group. Amazon’s share has held steady at 33% over that span. Satya Nadella, without a doubt, has executed perfectly. Internal emails show Facebook Inc. FB +1.89% considered charging companies for continued access to user data several years ago, a step that would have marked a dramatic shift away from the social-media giant’s policy of not selling that information, according to an unredacted court document viewed by The Wall Street Journal. The emails in the document also indicate that Facebook employees discussed pushing some advertisers to spend more in return for increased access to user information. Taken together, the internal emails show the company discussing how to monetize its user data in ways that are employed by some other tech firms but that Facebook has said it doesn’t do. …The Wall Street Journal viewed three pages of unredacted material from one 18-page document that showed portions of some internal emails. In other court filings, Facebook said these excerpts were subsequently redacted because they contained “sensitive discussion of Facebook’s internal strategic analysis of third-party applications, the release of which could damage Facebook’s relationships” with those apps. The discussion it reveals, via internal Facebook emails, is pretty shocking. Q: How did you become aware of cash-free businesses? RJT: I started coming across coffee shops and cafés that were exclusively cashless and I thought: But what if I was a low-income New Yorker who has no access to a card? I thought about it more and realized that even if a policy seems neutral in theory, it can be racially exclusionary in practice. Therein lies the problem with card-only policies. I see it as a way to gentrify the marketplace. Q: Why do you think cashless business models “gentrify the marketplace”? RJT: On the surface, cashlessness seems benign, but when you reflect on it, the insidious racism that underlies a cashless business model becomes clear. In some ways, making a card a requirement for consumption is analogous to making identification a requirement for voting. The effect is the same: It disempowers communities of color. iOS 12 adoption continues to steadily increase, outpacing iOS 11 by several weeks. Last year, Mixpanel recorded 75% share for iOS 11 on December 17th. iOS 12 reached the same milestone yesterday, or about three weeks faster. The analytics company currently says that iOS 12 has a 75.05% share of the iOS install base, with iOS 11 at 19.5% and older versions making up less than 5.5% of the total pie. Both Mixpanel’s data and Apple’s official charts show that iOS 12 adoption is happening at a faster rate than iOS 11, but both vary a bit on the nominal percentage figures. For its part, Apple said that iOS 12 crossed the 50% mark on October 10th. As of October 29, it reported that 60% of all devices are using iOS 12. When it next updates its chart, it should be comfortably above the 70% mark. iOS 11 was widely seen as a fumble in software quality, which led to Apple making performance a key focus of iOS 12. The strategy certainly seems to have paid off, with many customers reporting that their ‘old’ phones (especially devices like iPhone 5s and 6 Plus) have been given a fresh breath of life. There also have not been any major showstopper bugs associated with the iOS 12 launch. Mic is laying off the majority off its staff, while the digital publisher works on a deal to sell the remainder of its assets to Bustle Digital Group. Cory Haik, Mic’s publisher, has already left the company. I’m told that the under the proposed terms of the Bustle deal, Altchek and co-founder Jake Horowitz would stay on after the acquisition. Mic raised more than $60m to build a millennial-focused news company, but couldn’t find a business model to support its costs, which include a two-floor office in Manhattan’s World Trade Center. Facebook recently cancelled a deal with Mic to publish a news video series. Once you’ve done that, failure is pretty much assured. Sympathies to those laid off, but the warning signs were there long ago. Suggestions are that Bustle (which is skilled at buying distressed media properties) might buy it for less than $10m. At its last funding round, Mic raised $21m at a valuation of hundreds of millions – don’t ask me how. The chief executive officer of a Samsung supplier and eight of his employees received 15.5 billion won ($13.8m) after conspiring with two representatives of the Chinese company to transfer organic light-emitting diode knowhow, according to a statement from prosecutors in Suwon. The names of the companies and individuals weren’t disclosed. Intellectual property theft is a national concern for South Korea as it tries to maintain its narrowing technology lead over China. The mainland is pouring billions into becoming self-sustaining in areas such as memory chips and displays, two fields where Samsung is the world leader. Curved-edge OLED screens have become a signature feature of the Suwon-based company’s high-end Galaxy smartphones, including the Note 9. …The South Korean supplier transferred “3D lamination” technology and other equipment to the Chinese screen maker between May and August, violating a non-disclosure agreement with Samsung, according to the prosecutors. They were caught while loading additional pieces onto a ship headed for the mainland, they said. During a US Senate subcommittee hearing this week, New Hampshire Sen. Maggie Hassan grilled commissioners from the Federal Trade Commission about video game loot boxes — about how prevalent they are as well as the fact that stricter oversight of them might be needed. “Loot boxes are now endemic in the video game industry and are present in everything from casual smartphone games to the newest, high-budget video game releases,” she said during the Senate’s Commerce, Science, and Transportation subcommittee hearing on Tuesday. “Loot boxes will represent a $50 billion industry by the year 2022, according to the latest research estimates.” She then asked commissioners if they would be willing to look more closely at their usage in video games, and the commissioners said they would. A number of news headlines are out today saying the FTC will “investigate” loot boxes, but we should note the agency doesn’t appear to have given a full indication as of yet regarding the details here. Nevertheless, the various players are already reacting accordingly. Entirely optional: true of gambling. No impact on those who don’t do it: true of gambling (unless it’s used to fix matches, but that’s a different level of impact). 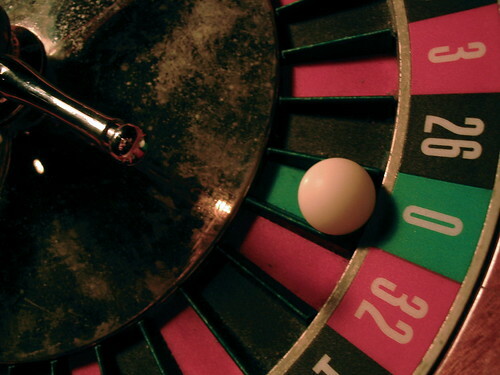 No real-world value: applies to casino chips and other gambling tokens. Always receive something that enhances their experience: the point is that the value of the “something” is random compared to the amount paid. That is gambling. Loot boxes are gambling. It’s about time. “I did participate in gambling in Saipan, but how could I possibly lose that much (10 billion yuan)? If it is true, shares of Imperial Pacific [the casino owner] should have surged,” Liu Lirong, Gionee’s chairman and chief executive, said in an interview with Securities Times in Hong Kong at the weekend, responding to recent reports that his gambling loss of 10bn yuan (US$1.44bn) had resulted in the collapse of Gionee. When asked how much he lost gambling, Liu told the Securities Times reporter, “a bit more than 1 billion yuan”. Gionee, which ranked behind Apple in sixth place for handset sales in China last year, is now on the verge of bankruptcy restructuring as suppliers have halted component sales after failing to receive payments for several months, according to the report. Liu admitted in the interview that Gionee’s total debts amount to 17bn yuan ($2.45bn), with 10bn yuan of this owed to banks, 5bn yuan to upstream suppliers and about 2bn to advertising agencies. …Liu denied in the interview that Gionee’s troubles were primarily the result of his gambling. He said the company had been losing money since the beginning of 2013, with average losses of no less than 100m yuan per month between 2013 and 2015, and the monthly loss further widened to no less than 200m yuan in the past two years. Gionee was apparently the fifth biggest phone maker in China; sold about 40m handsets in 2016; last public product launch in November 2017; fired half its factory staff in April. As I said: time to leave the dancefloor.